Beyond the Aquila Rift. It’s shorthand for the trip no one ever hopes to make by accident. The one that will screw up the rest of your life, the one that creates the ghosts you see haunting the shadows of company bars across the whole Bubble. Men and women ripped out of time, cut adrift from families and lovers by an accident of an alien technology we use but rarely comprehend. 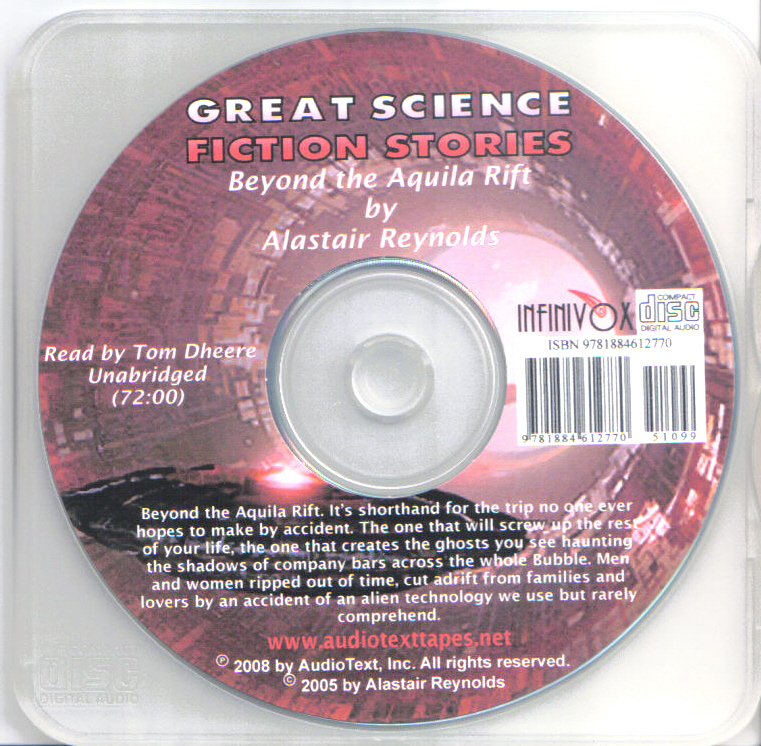 Alastair Reynolds was born in 1966. He was raised in Cornwall and Wales . He moved to Newcastle to study physics. He earned his doctorate in Scotland , moved to the Netherlands , and worked for the European Space Agency. His highly acclaimed Inhibitor Universe novels are now considered classic New Space Opera.